Whirlpool Corporation, the world’s leading manufacturer of major home appliances, and IBM today announced a new collaboration to connect Whirlpool connected home appliances with IBM Watson services, including cognitive analytics, to provide more personalized services to consumers. 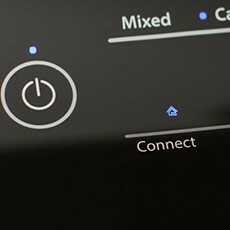 “IBM’s cognitive analytics is a strong fit for Whirlpool Corporation,” said Laurent Borne, General Manager, Connected Appliances, Whirlpool Corporation. In step with its position as an industry leader, Whirlpool is gearing up for a market on the cusp of increased demand for intuitive, connected home appliances. Through IBM Watson services, including cognitive analytics, data management and protection, Whirlpool Corporation can better serve the consumer as connected home appliances continue to evolve. The collaboration will also focus, in part, on the importance and intricacies of big data; Whirlpool Corporation is using IBM Cloud Business Solutions to harness real-time data and insights from appliances to drive product optimization or enhance and introduce new benefits customized/tailored to consumers’ unique needs. ¹ Requires Wifi and account creation. App features and functionality subject to change. Subject to Terms of Service available at: www.whirlpool.com/connect. Data rates may apply. ² The Connect to Care Program will give Whirlpool Smart Top Load Washer customers the option to make per-washer load charitable donations of $.15, $.25 or $.50 to Habitat for Humanity through the Whirlpool app. The total amount of customer donations during the Program will depend on the number of participants and eligible loads through December 31, 2016. In addition to the charitable donations made by participating customers, Whirlpool will directly donate a minimum of $95,000 and up to $100,000 to Habitat for Humanity in 2016. Visit whirlpool.com/smart-appliances/smart-top-load-washer-dryer for more information.